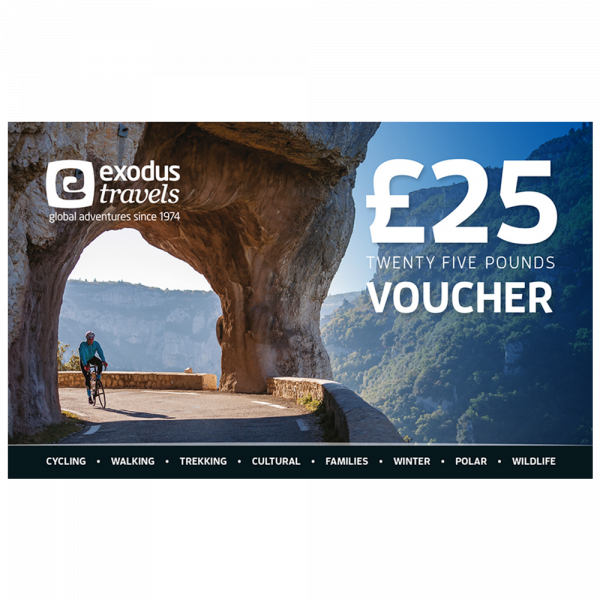 Exodus Travel Vouchers can be purchased as gift vouchers for a wedding gift, GAP year present, Christmas present, graduation reward, the list is endless! The vouchers are also available in other currencies on application: i.e. Euros, USD, CAD, AUD and NZD and are redeemable against the cost of any Exodus holiday. *Please note the maximum total order you can purchase through our online shop is £1500. All other amounts exceeding this need to go through our accounts department.